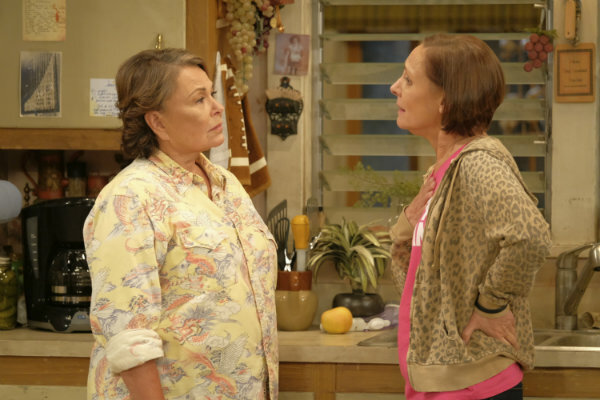 That doesn't mean viewers should prepare for a wave of newcomers aping "Roseanne," about a working-class family whose matriarch is a supporter of President Donald Trump — as is star and producer Roseanne Barr. Timing aside, there's the challenge of deciphering and recreating a show's appeal, especially one led by a brassy personality like Barr and the strong viewpoint she brings to her work. Others point to the built-in brand recognition that "Roseanne" has among viewers who watched it the first time around or in reruns. But nostalgia alone isn't selling "Roseanne" to the 18.4 million viewers who tuned in for its premiere and the still-impressive 15.4 million who came back for week two — numbers that don't reflect the millions more watching on a delayed-viewing basis. In the early going, "Roseanne" has shown its greatest strength in TV markets that include Kansas City, Missouri; Milwaukee; Raleigh and Durham, North Carolina; and Dayton, Ohio. But the country is not so neatly divided in its TV viewing as it may be in its party registration. CBS' "The Big Bang Theory," which gave rise to prequel "Young Sheldon" but is set in suburban Southern California, overlapped with "Roseanne" in the most recent ratings in 12 of the ABC's show top 20 TV markets — and "Big Bang" earned its top household tune-in in Dayton, not Los Angeles.